Plant Science include the study of plant diversity, structure and function, ecology and interactions with other organisms. Plants are the primary producers that support all human life and are the dominant components in most terrestrial ecosystems. The science of botany is a key part of the study of agriculture, environmental science and natural resource management. It was one of the first scientific disciplines, and we continue that proud tradition today as we seek to understand biodiversity and the workings of the natural environment. 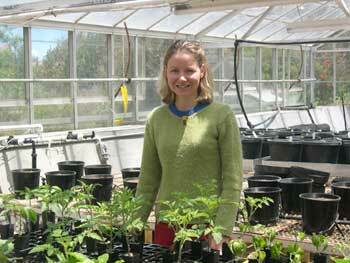 Why Study Plant Science at UNE? UNE is a non-metropolitan university surrounded by a floristically rich environment which provides an ideal situation for teaching and research in botany. Our backyard has the most diverse range of vegetation types of any comparable area in Australia and is a biodiversity hotspot. Staff in Botany have expertise in plant systematics, community and population ecology, ecophysiology, and mycology and plant pathology. Our focus is on plants as organisms, but we work on scales from the molecular to global systems. Together with plant scientists in other disciplines, we offer a comprehensive range of undergraduate teaching and postgraduate research opportunities. In addition to Bachelors degrees, we provide a wide range of options for further study and upgrading of qualifications, all available in external (off-campus) mode as well as internally. Botany at UNE is home to the N.C.W. 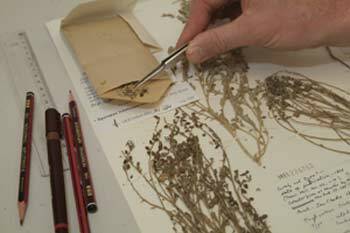 Beadle Herbarium (NE), an internationally-recognised collection of over 70,000 preserved plant specimens. This is a resource for taxonomic, ecological and other university and herbarium research, and a repository for scientific vouchers that underpin various biological activities such as plant classification, vegetation surveys, rare and threatened plant investigations, and botanical studies. These can be complemented with units from Ecosystem Management (EM), Evolution and Biogeography (EVOL), Agronomy (AGRO) and other disciplines to provide a program tailored to student needs. Graduates with botanical skills are in demand by industry, consultants and government agencies for a range of activities including flora surveys, vegetation management, education, and research. Examples of jobs are project officers for biodiversity conservation or environmental weed management; vegetation mapping, flora surveys and rehabilitation for mining and other land use activities; education programs for land management authorities and environmental action groups; technical assistants for research organisations working with plants; specialist services in the horticulture industry; and research and policy officers in government departments. A BSc with Botany major, and appropriate choice of other units, can also be used as entry into many careers that require graduates such as teaching and the public service. Further career opportunities, including research careers, are opened up by postgraduate qualifications. We have formal teaching and research partnerships with the Royal Botanic Gardens, Sydney, the Australian Museum, NSW Department of Environment and Climate Change (including National Parks and Wildlife Service) and NSW Department of Primary Industry. We also work with Landcare groups and water authorities. Our staff collaborate with colleagues in universities, government agencies, CSIRO and other research organisations, and herbaria throughout Australia and in many other countries. The N.C.W. 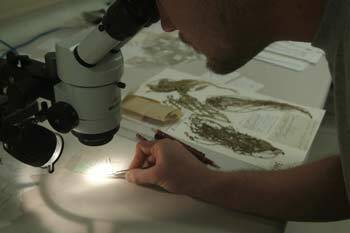 Beadle Herbarium is part of an international network and exchanges specimens and arranges loans with other herbaria throughout the world.